David Ivers, a native of Rison, Arkansas, graduated from Arkansas State University in 1984 with a 4.0 GPA and received the R. E. Lee Wilson Award as the top graduating senior that year. After beginning a career in journalism, he graduated with honors from the University of Arkansas at Little Rock William H. Bowen School of Law in 1991. He served on the Law Journal while at UALR and has published several articles on health-related topics. He has been a lawyer with Mitchell Blackstock in Little Rock since 1992. David and other members of the firm provide a wide range of legal, consulting, and legislative services to health care providers and serve as lobbyists for approximately a dozen provider associations and organizations. 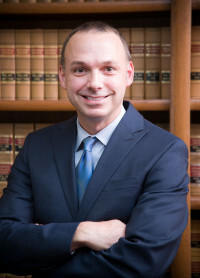 He has represented providers in the Arkansas “Any Willing Provider” litigation, the Medicaid Fairness Act of 2005, the Arkansas Health Care Consumer Act of 1997, the AMS v. Reynolds Medicaid “equal access” litigation, the Arkansas “prompt pay” law, and many other legal and policy issues important to health care providers.